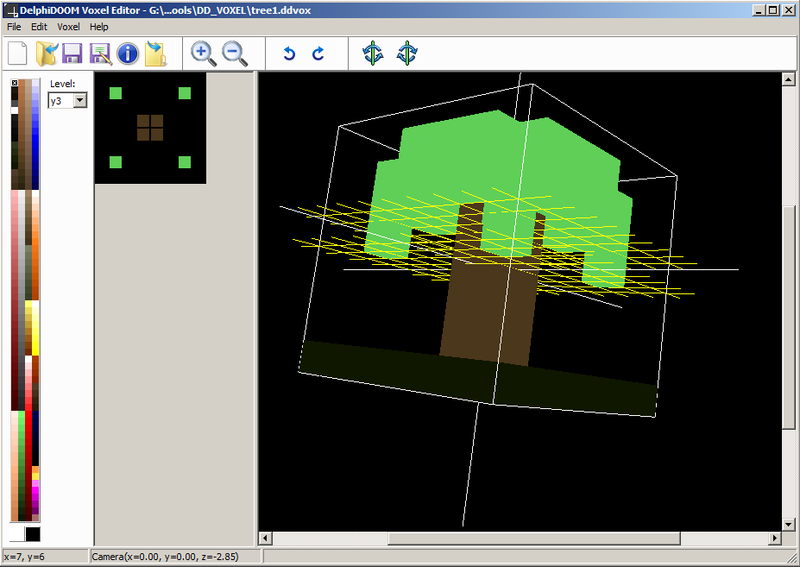 A simple voxel editor I wrote some weeks ago, upgraded last few days to import kvx files (the build engine voxel format). This project started as a help tool to my future plans about supporting voxels into the DelphiDoom engine, but can easily fit to other needs. 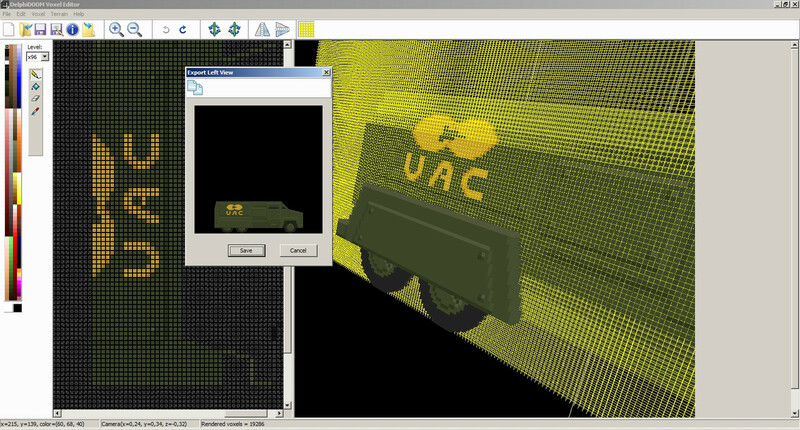 Simple interface, multiple undo/redo, with simple editing, just like a basic paint program (select a level on xy, xz or yz and paint with the mouse), you can also import images into current editing level and also rotate it. 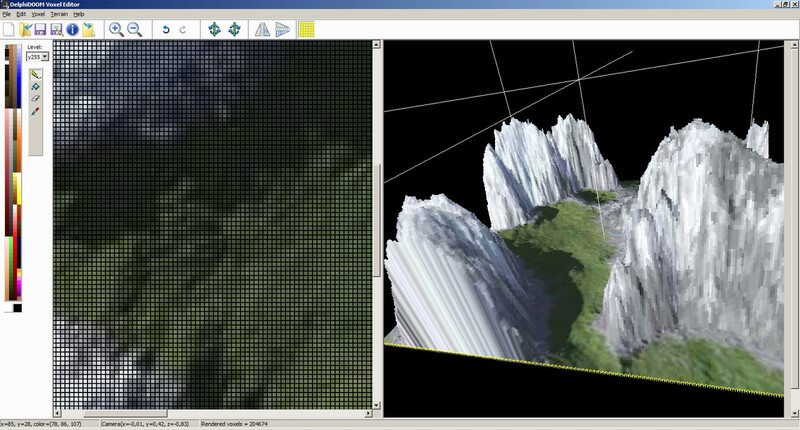 Main window is splitted in 2 panels, left is 2d drawing of the current level, right is the 3d preview (along with a grid to indicate which level is currently in edit mode). Saves in it's own file format (readable ascii), you can easy change it to save some other (binary) format. A new version (1.3.1) is available. 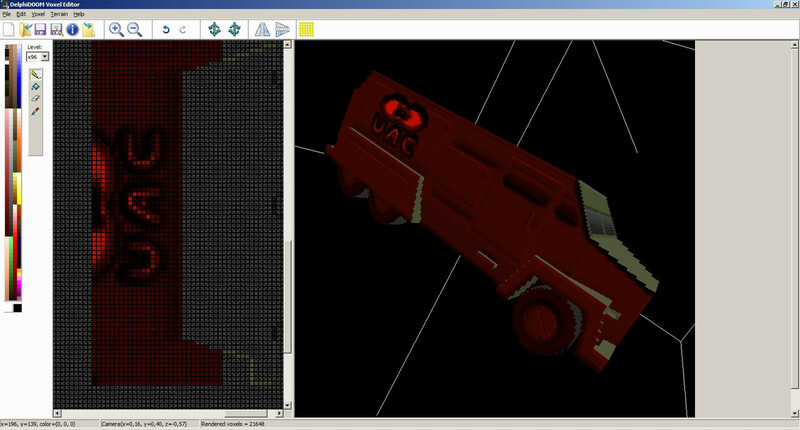 Inside the vxe_mesh.pas file you can find the TVoxelMeshOptimizer class. 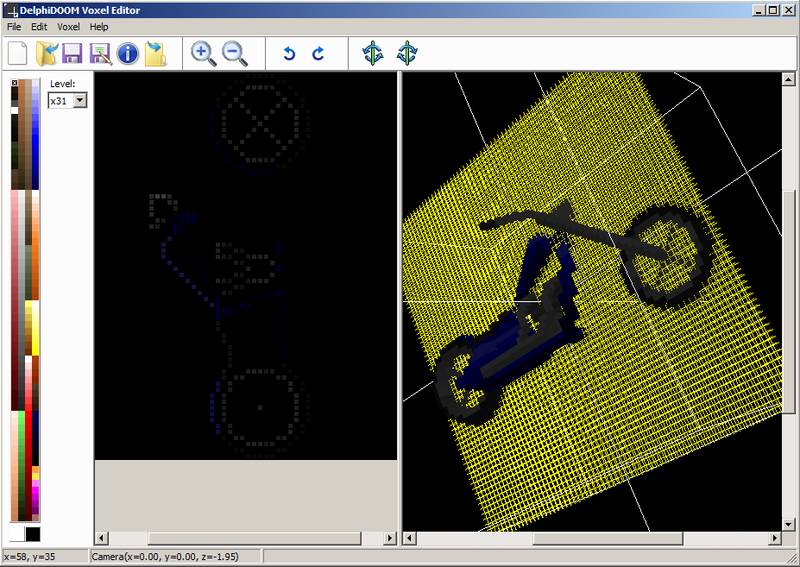 This class will optimize a (naive) voxel buffer (a plain 3-dimentional ARRAY - declared at voxels.pas file) to an optimized mesh structure (use the LoadVoxel() member function). 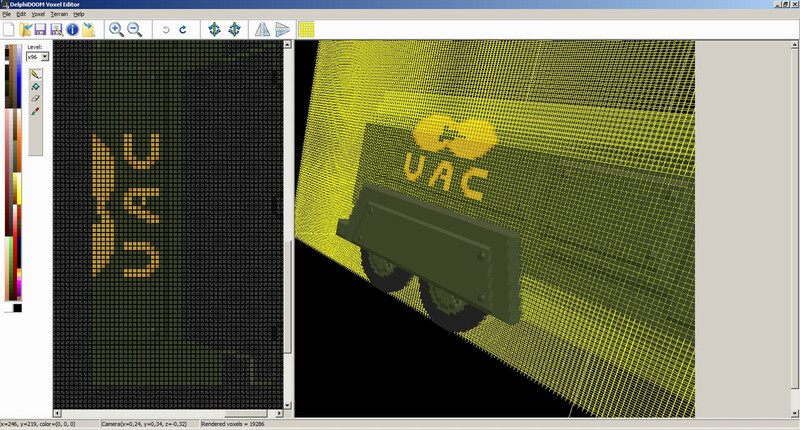 Then the mesh structure can be rendered with the RenderGL() member function. I don't see any source in the file. You'll see there's two files, one with the binaries and one with the source. Last edited by Akira13; 22-10-2017 at 03:37 PM. Thanks. Pretty confusing site that sourceforge. Replacing pChar with pAnsiChar in whole file helps. Last edited by Thyandyr; 22-10-2017 at 06:18 PM.